Well the sledding season is upon us, kind of. 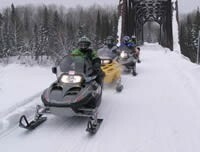 Instead taking my freshly built sled out bumping & grinding around rocks, stumps, mud and open creeks/water around Parry Sound, I took an invite from Shelby Mahon of Backcountry Motorsports to do a real snowmobile adventure in Ontario and visit The Base Camp in Abitibi Canyon. We travelled with her Dad Al (from Fail Army fame) and my other little sister Katie Erb, in my favourite place to be, Northeastern Ontario. 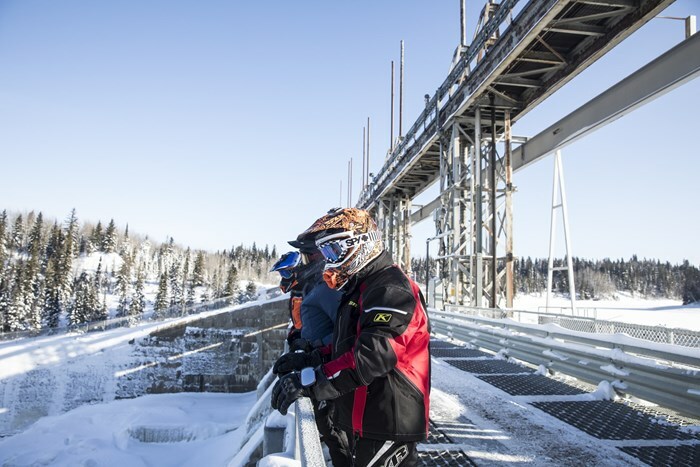 We joined Michael Lobb and Monty right at the Canyon/Dam and boy, was that ever an amazing first sledding weekend of the year experience! 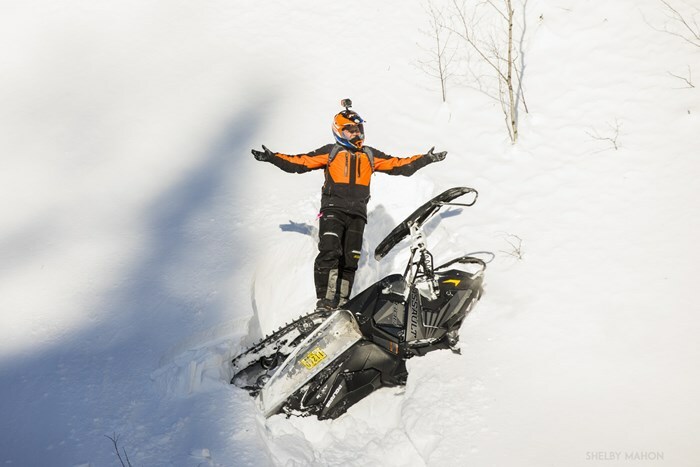 For the trip, I was blessed to borrow a 2017 “What A Ride” 800 Polaris Switchback Assault, and boy was I impressed! 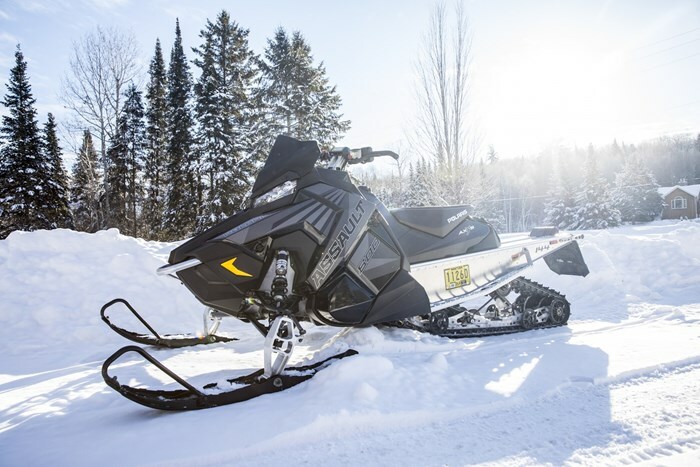 Sure, my die-hard mountain buddies are going to chirp me, but this is a great sled for both trail and back country riding in Northern Ontario. Polaris nailed it with this “new” combo. 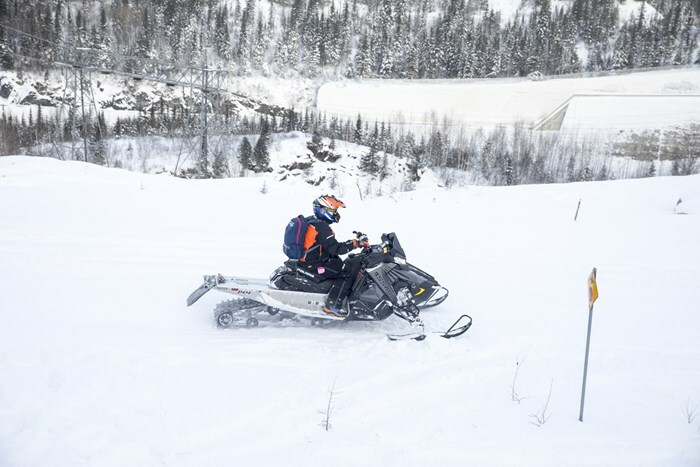 Lots of snow up there by the way, just ride smart, as always! 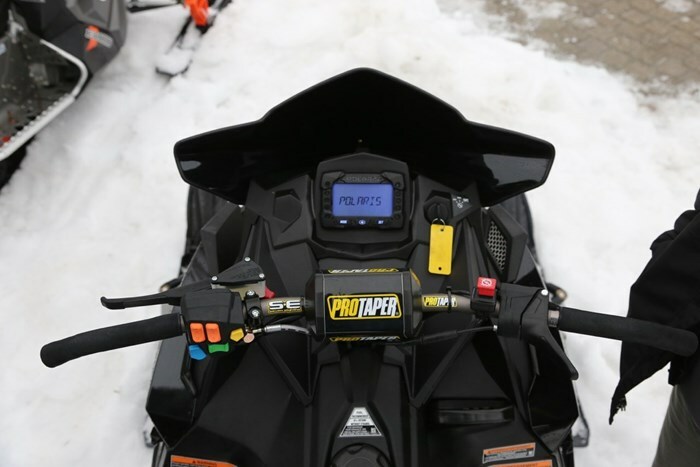 Right from the turn of the key (this sled has electric and pull start by the way) and seeing “Break-In” on the simple and effective digital gauge, I was impressed. The new 800HO motor purred flawlessly, making me want to get it stuck immediately......which I did. Vibrations? NOPE! Stutters? NOPE! 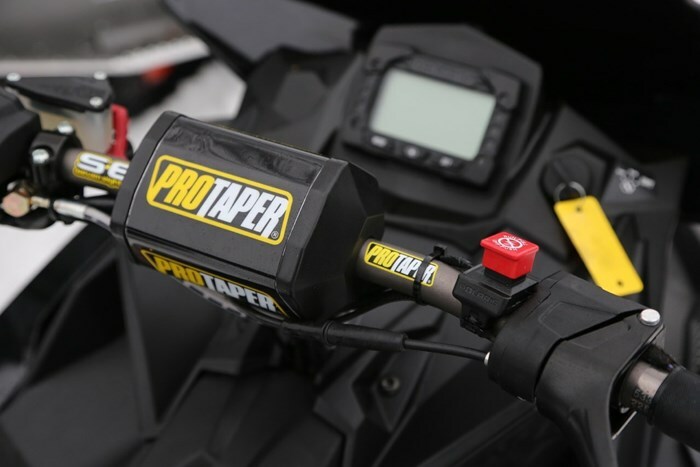 As much linear torque as most of you can handle? YUP! 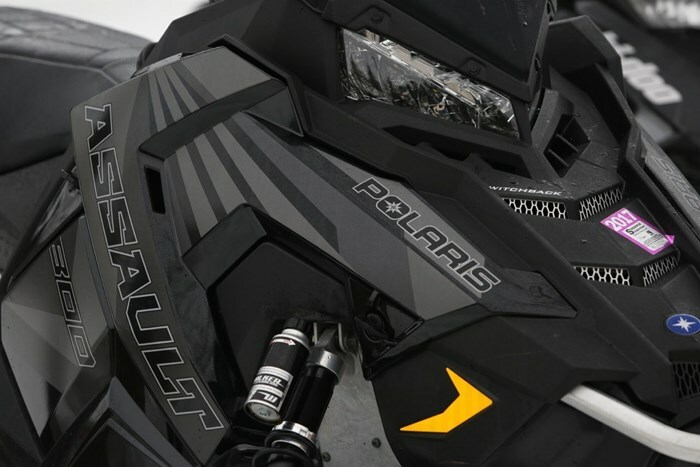 This is the smoothest 800 Polaris has ever built. 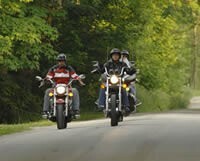 It is on point whether you’re on or off the throttle, and every position in between. It really holds its throttle position well, making it great to carve, boondock, and climb without having the throttle taped. Honourable Mentions: 3 stage electronic exhaust valves, electronic oil pump, improved intake & exhaust flow, V-Force reeds. 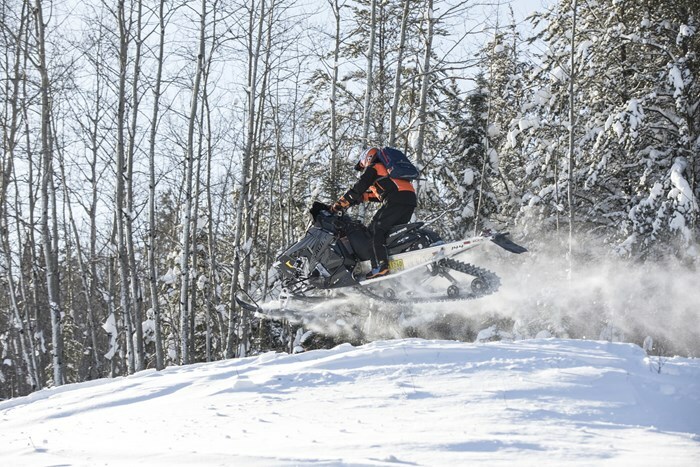 Does this “big” sled lift skis on flat ground? Yes, and then they sit flat in the air, while the sled is exceptionally stable. I could/should have carried and drank from a coffee thermos. So it must be tippy in the corners? No, this sled cornered beautifully and felt like a 137” or 129”. Once comfortable, I started leaning and adding input and it got FUNNER! Okay, more fun ;). At only 5’8” and 180lbs, I often feel like I have to work hard to maneuver sleds around, especially a “big” sled like this. Now I’m pulling powder catwalks with infinite manoeuvrability, then running flat corners, sold! This sled did whatever I asked it to and more. In fact my side-hilling skills are so poor that I felt bad for the sled. Polaris hit the nail on the head with these tipped rails. Honourable Mentions: 43% more front torque arm travel, perfectly tipped rails. Having ridden an 800 Rush Pro S in 2010, and both 2016 Switchback 137” 600/800 versions, I’m always surprised at how impressed I am with their nimble and light handling. 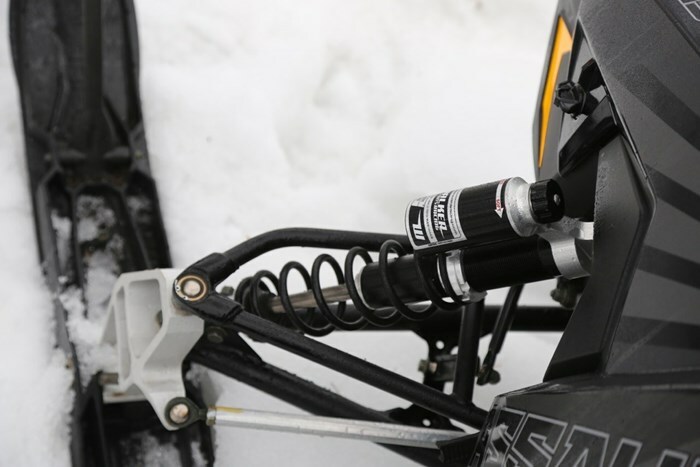 The move to the AXYS front end has settled these sleds down, making them more consumer friendly in my opinion. This 144” Assault has a tunnel! The basic storage was minimal so I wore a backpack, but that tunnel would be great for accessories! 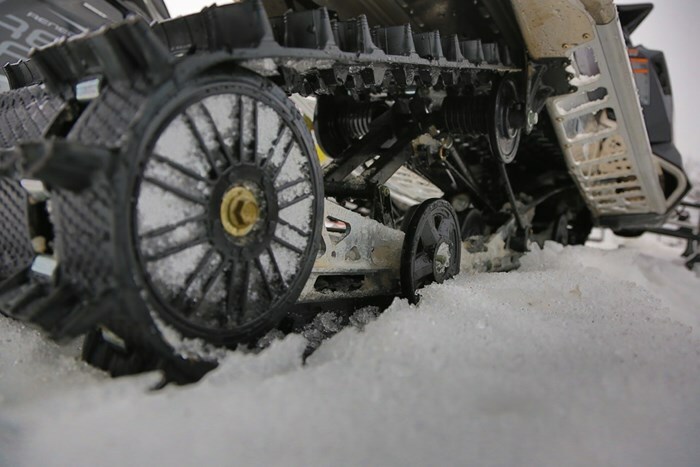 Honourable Mentions: PowderTrac Hybrid Running Boards were great, stayed very clean, and it was easy to simply kick ice chunks off of them when it started to build up, instead of needing tools. On a scale of 1-10? For a first impression, I give this a 9/10. 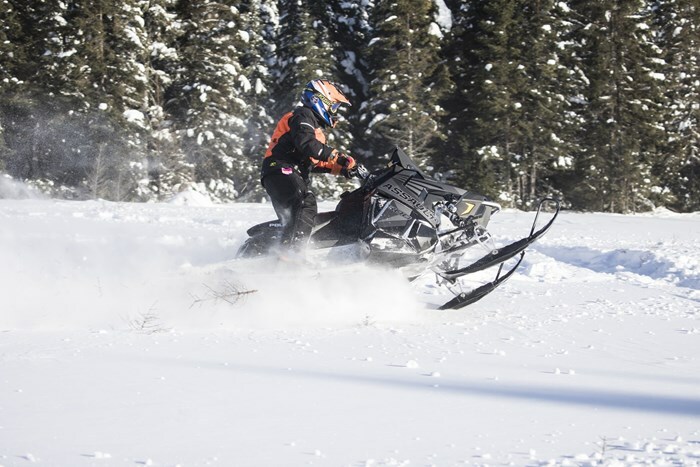 Polaris chose a specific market which most sledders want to be a part of, built the sled, and nailed it. 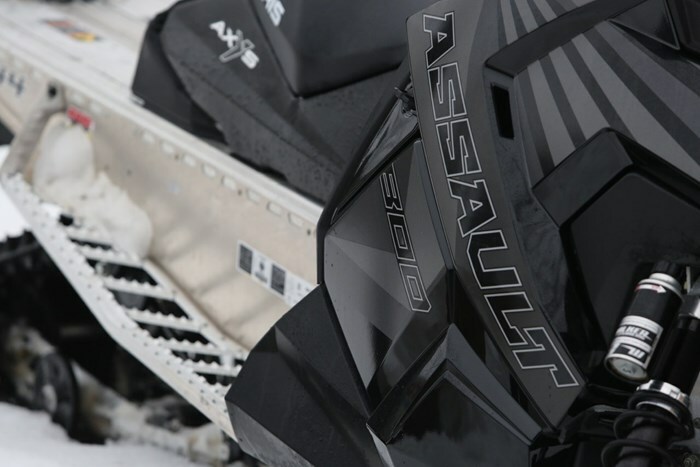 Thanks to all the mountain sledders for their feedback, because this chassis is “evolved” now. The What A Ride crew gave me the option to set-up the suspension, handlebars/controls etc. as I would like for myself. But I did not make even ONE change. For me, the factory set-up nailed it. Thanks Polaris! Being that I’m a maintenance guy, I’m interested to see what my impression will be at the mid and end of season, and after riding other brands as well. But first impression, easily a 9! Why Not a 10 You Ask? Hypothetical Polaris: “Whatever do you mean “Random” Ryan? Clearly this really, really upsets me. 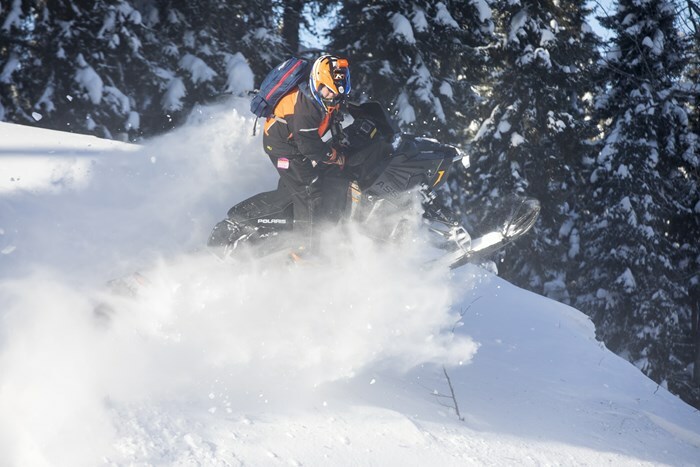 In my mind, my tether is connected to my suit, not my sled. Low and behold my Klim gear had a strong metal tether clip, because THEY know I should be wearing it. Safety first, and a tether cord is not too much trouble or too much to ask. And no, it shouldn’t be a dealer accessory, that’s not an answer in my opinion. Oddly when making slow, left hand powder turns, the side panel allows thick powder snow to enter and end up on the primary clutch. This causes belt slippage at some weird times, and surely premature wear of the drivetrain if it continues. That should be a simple fix as well and guys like Zac Parks or Chris Burandt may already have the answer. It was a bit weird that I only saw “Break-In” again on the gauge once with only 3.4 miles on the sled. Maybe Jamie Byers at Byers Equipment Motorsports or Gerry Borque at Bourque Auto Sales can comment and shed some light on that. Needless to say, it was “Broke-In” last weekend. And if there IS more power coming then wow!